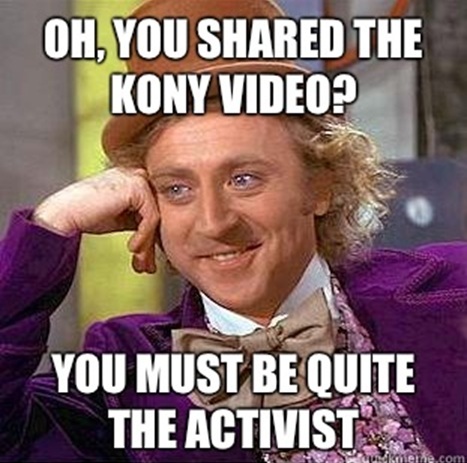 My Facebook feed has been exploding with videos, blog posts, and comments about Joseph Kony for the past few days. This is not normal. War criminals are not usually the topic of heated discussions amongst my Facebook friends. No, lolcatz and other banalities are often the topics du jour. 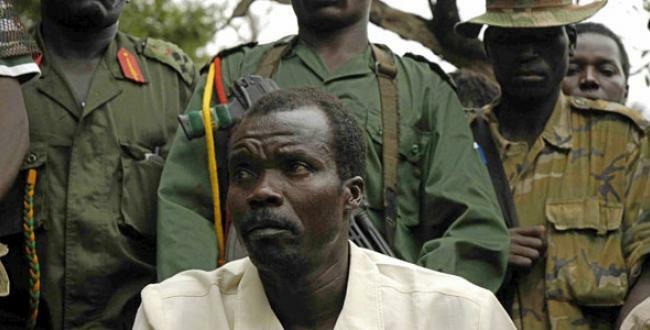 But since Invisible Children's #Kony2012 video hit the internetz, all have been abuzz about Uganda, Kony and the Lord's Resistance Army (LRA), and even the credibility of Invisible Children itself. A public dialogue about development, aid, and human rights on Facebook? Am I dreaming? When does this ever happen? Seriously? "Invisible Children has been condemned time and time again. As a registered not-for-profit, its finances are public. Last year, the organization spent $8,676,614. Only 32% went to direct services (page 6), with much of the rest going to staff salaries, travel and transport, and film production. This is far from ideal, and Charity Navigator rates their accountability 2/4 stars because they haven't had their finances externally audited. But it goes way deeper than that." "It would be great to get rid of Kony. He and his forces have left a path of abductions and mass murder in their wake for over 20 years. But let’s get two things straight: 1) Joseph Kony is not in Uganda and hasn’t been for 6 years; 2) the LRA now numbers at most in the hundreds, and while it is still causing immense suffering, it is unclear how millions of well-meaning but misinformed people are going to help deal with the more complicated reality." "Worst of all, the much-circulated campaign subtly reinforces an idea that has been one of Africa's biggest disasters: that well-meaning Westerners need to come in and fix it. Africans, in this telling, are helpless victims, and Westerners are the heroes. It's part of a long tradition of Western advocacy that has, for centuries, adopted some form of white man's burden, treating African people as cared for only to the extent that Westerners care, their problems solvable only to the extent that Westerners solve them, and surely damned unless we can save them." "Kony has been on the run for 25+ years. On a continent 3 times the size of America. Catching & stopping him is not a priority of immediate concern. You know what is? Finding a bed net so that millions of kids don’t die every day from malaria. How many of you know that more Ugandans died in road accidents last year (2838) than have died in the past 3 years from LRA attacks in whole of central Africa(2400)? We’ve picked our battles and we chose to simply try to live. And the world should be helping us live on our own terms, by respecting our agency to choose which battles to put capacity towards." "Invisible Children’s US staff is comprised exclusively of Americans, as is the entire Board. How do you represent Uganda and not have Ugandans in leadership? Couldn’t the organization find a single Ugandan? An African? Did it even think about that? Does that matter to current staff and board members? I understand that IC’s main audience is American and its focus is on American action. However, when your work and consequence affect a different group of people than your target audience, you must make it a priority to engage the voices of the affected population in a real and meaningful way, in places and spaces where programs are designed, strategies dissected, and decisions made." I've spent most of today sifting through the many blogs and articles about the campaign and though most of the critiques are valid, justified and very well-thought out, I can't help but feel a sense of repulsion from the sarcasm of those who lambast Invisible Children's initiative. The overall tone and language that have surrounded the backlash is sarcastic and arrogant, deriding those who I honestly believe want to genuinely do something positive (as these memes would demonstrate). More than that, much of what I've found online only offer attacks on Invisible Children and the #Kony2012 initiative without offering any alternative solutions. Instead of galvanizing people to act as a force for good, this tone and language will simply lead people to resort back to inaction, paralyzed and disheartened to hear that the organization they were so excited to support is just a "scam". Yes, it is essential to call out an organization on its transparency, accountability, and overall goals. That is part of being an intelligent and informed citizen. And yes, good intentions are not enough but disparaging them, in my opinion, is even worse than slacktivism. "...instead of continuing to debate the strengths and weakness of the Kony2012 video, or attack Invisible Children for their lack of financial transparency, let’s figure out how to turn this momentum into a constructive opportunity that can result in smart policies that will have a positive, real-time impact in the affected areas of central Africa. Let’s harness this energy and turn it into something productive that ensures we’re telling the right stories, inspiring well-informed advocacy, and working together across governments, academia, grassroots activists, and local populations to help bring this chapter of the LRA — and the impact in affect areas — to a close." Do your research. Learn about and educate yourself on the situation in Central Africa today. Listen to and read African voices by tuning in to local media. Some of the leading newspapers on the ground are the Daily Monitor, the Independent, and New Vision. Another great resource is Global Voices, which is a community of citizen journalists and bloggers (this includes stories from around the world too, not just limited to Uganda). HURIFO: an NGO dedicated to promoting human rights and aims especially to raise the visibility of the plight of internally displaced persons in Uganda. International Refugee Rights Initiative (IRRI): dedicated to promoting human rights in situations of conflict and displacement, enhancing the protection of vulnerable populations before, during and after conflict. Art for Children Uganda (ACU): an NGO committed to lift the voice of all children through creative means to promote cultural awareness, develop critical thinking and self-expression, and recreate and promote psychosocial healing. Concerned Children & Youth Association (CCYA): a youth-led community building initiative in Lira, Uganda. Concerned Parents Association (CPA) Lira: a child focused organization formed by a group of parents affected by the abduction of children by the LRA in Northern Uganda. Women of Kireka: a women’s cooperative business based in Kampala, Uganda providing business skills training, added capital and a resilient peer group to women affected by the conflict. The Acholi Religious Leaders Peace Initiative (ARLPI): an interfaith peace building and conflict transformation organization. Friends of Orhans Uganda: an initiative administered by former child soldiers, orphans and abductees from Pader District that aims to reduce the vulnerability of mothers, orphans, former child soldiers, abductees and women through education and skills empowerment. **This is not, by any means, an exhaustive list. If you know of any local organizations doing responsible and effective work in Uganda, please let me know in the comments section so we can expand this list! For all its flaws, Invisible Children has managed to raise not just awareness but also fervour about an issue that many have forgotten about or never even knew about to begin with. Let's use this surge in energy and momentum to do something productive. Opportunities like these do not come by very often.